Meet Mia. A wife, mom, friend and woman of God. She has the house and leisure lifestyle many would be jealous of, and after growing up never having enough, it should be a dream come true. However, her husband David is so busy with his law firm that he doesn’t give much time to her or the kids. As she focuses on helping her girlfriend Brandy with her upcoming wedding, she becomes reacquainted with her college friend, Ryan James. Mia finds herself drawn to Ryan while at the same time confused about what is going on in her marriage. Will she figure it all out before everything falls apart? Stephanie Price Buchanan is an author of short stories, poems and songs. Since childhood, she has pursued an interest in writing. 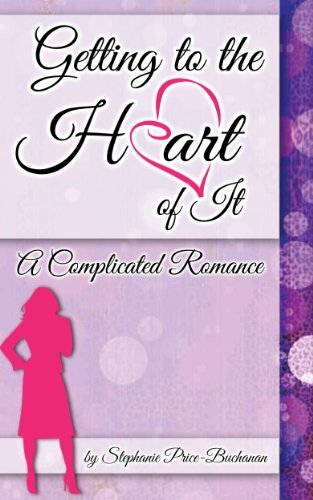 Her love of storytelling has come to life in two novels, Getting to the Hart of It and her new release, All About Mia. In addition to being a wife and mother to 2 boys and a girl, she works full time and loves to read novels, magazines and the newspaper. Stephanie currently resides in Southern California.